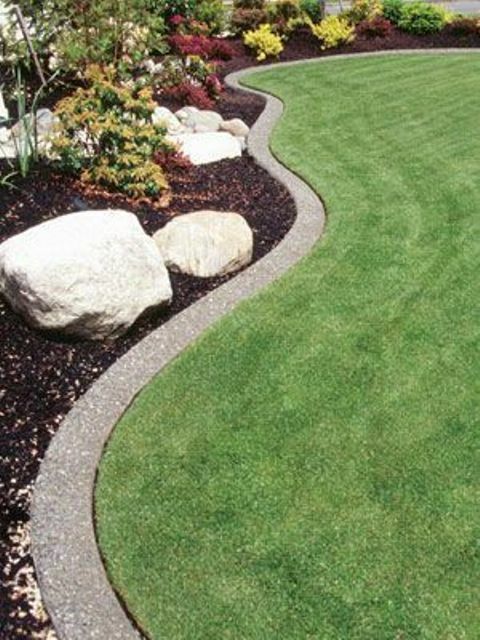 Garden bed edging gives your outdoor space a more cohesive and neat look, it helps you customize the space and make it unique. 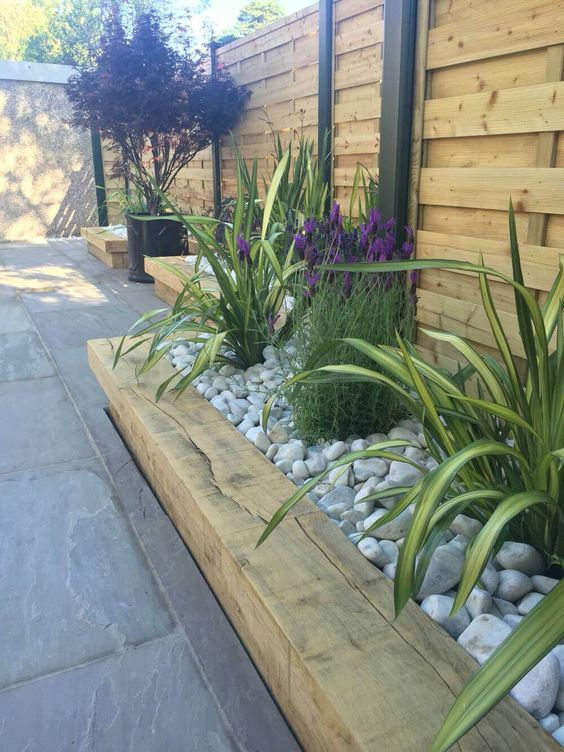 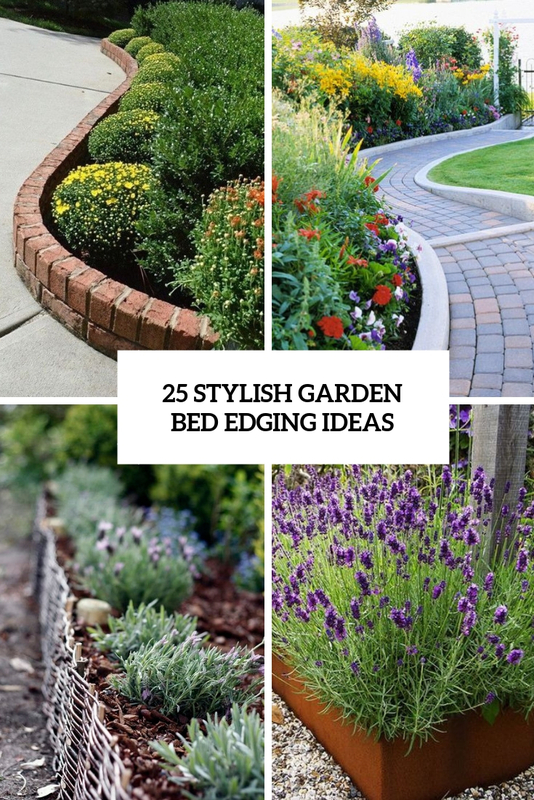 You should carefully choose garden bed edging to fit your decor style and to add the feel you want, and I’ve prepared some cool ideas to choose from, take a look! 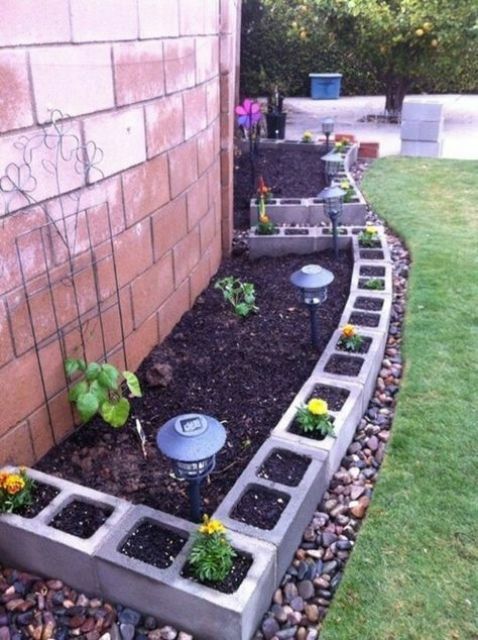 Backyard basics are always a good choice to keep your garden simple and organized. 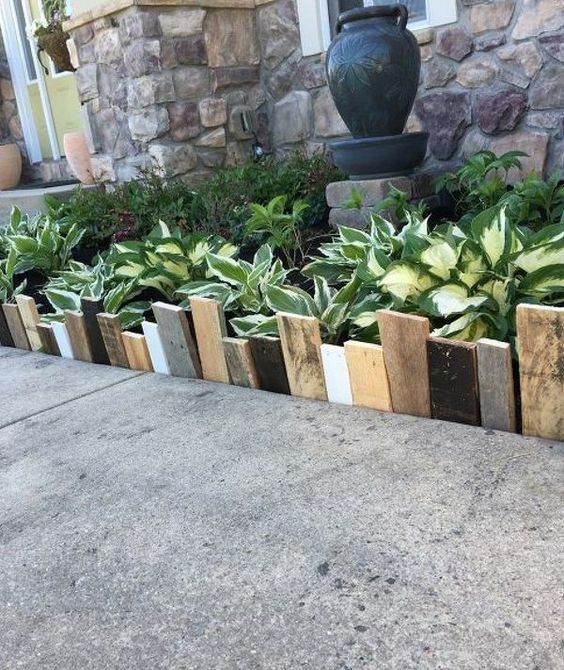 But who said you have to use traditional material in a traditional way? 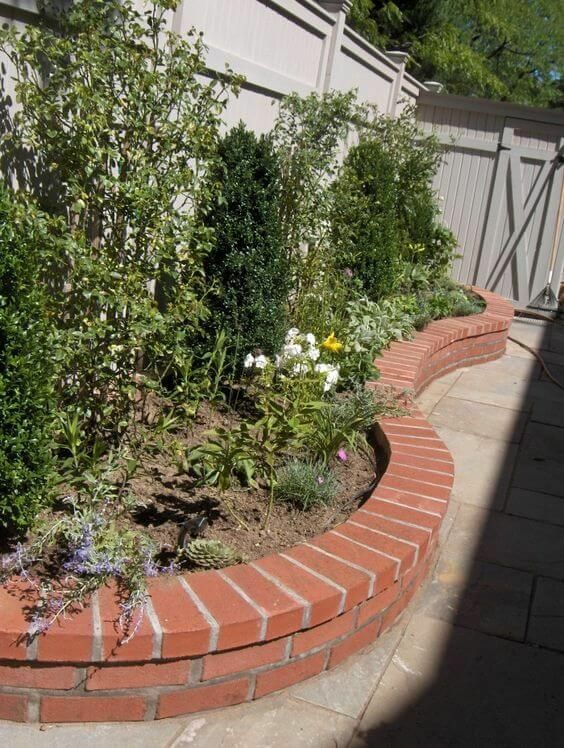 Landscaping bricks can be used in a variety of ways to create individual beds, walkway borders, and support for tiered gardens. 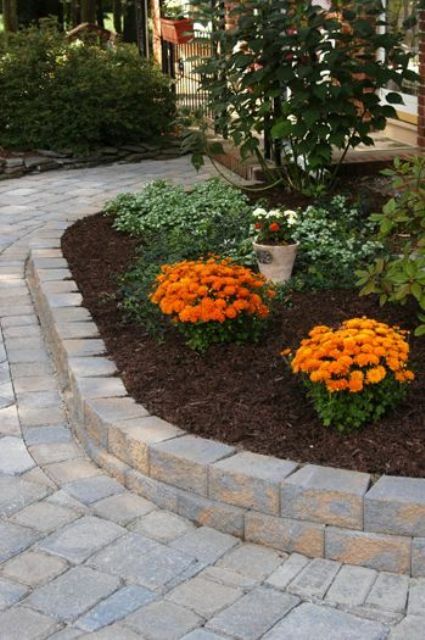 Don’t forget that you may use not only landscaping bricks but also usual ones creating bold and catchy borders and pairing them with neutral gravel or decomposed granite or with red brick pathways. 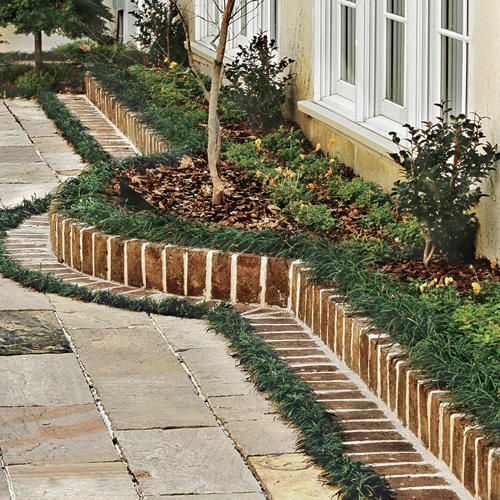 Bold white stucco and concrete faces keep this landscaping simple and refreshing in a small space, all while adding curbside appeal to a busy row of townhouses. 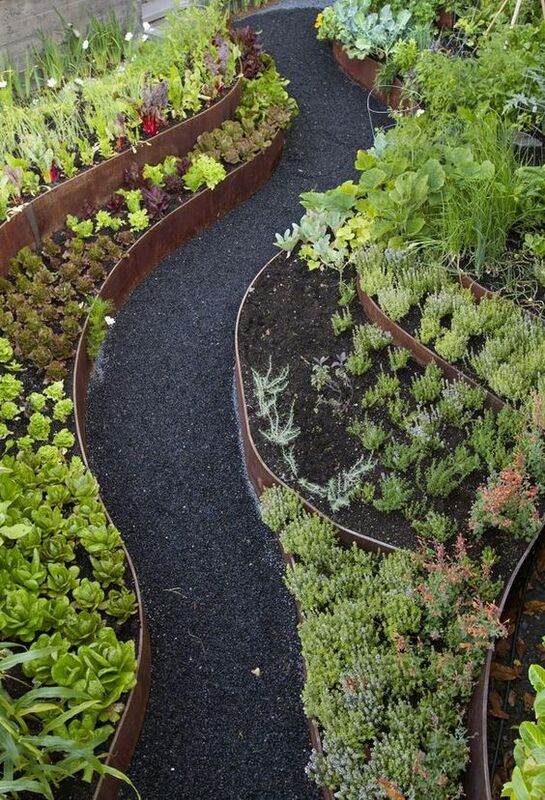 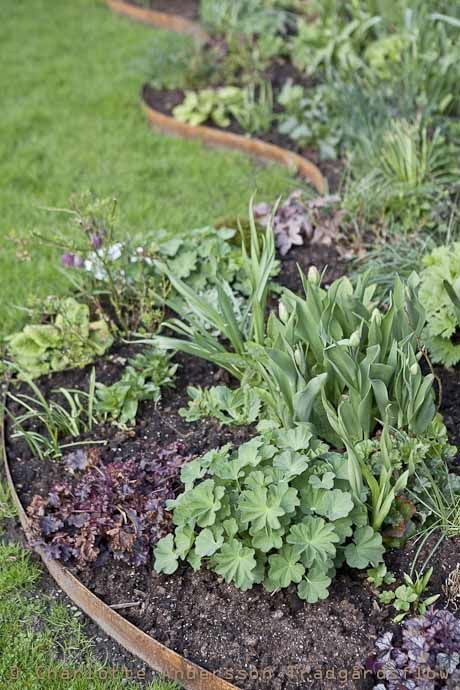 Having a small space to work with doesn’t mean you can’t have a garden bed or an original look. 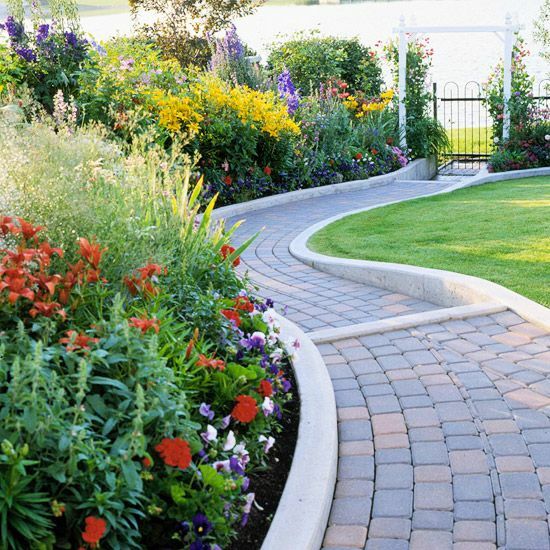 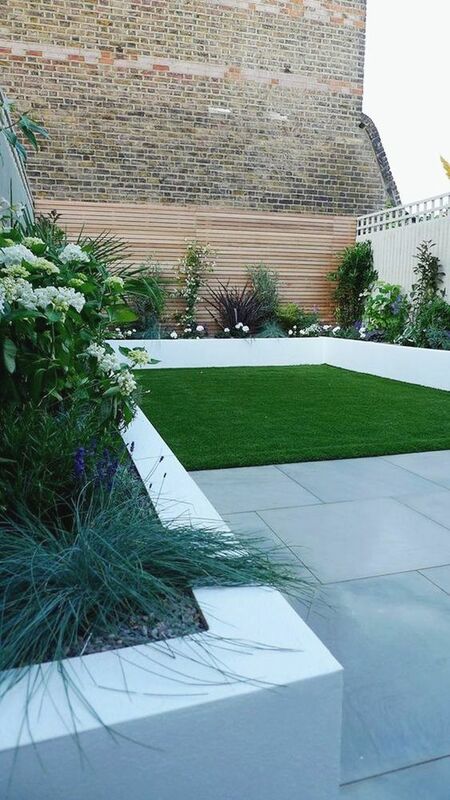 Concrete is also a great edging material in case you have a minimalist garden or terrace. 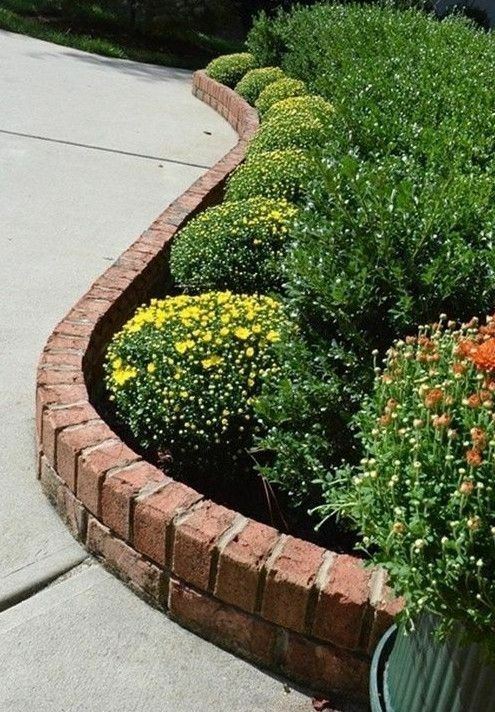 Wanna more originality? 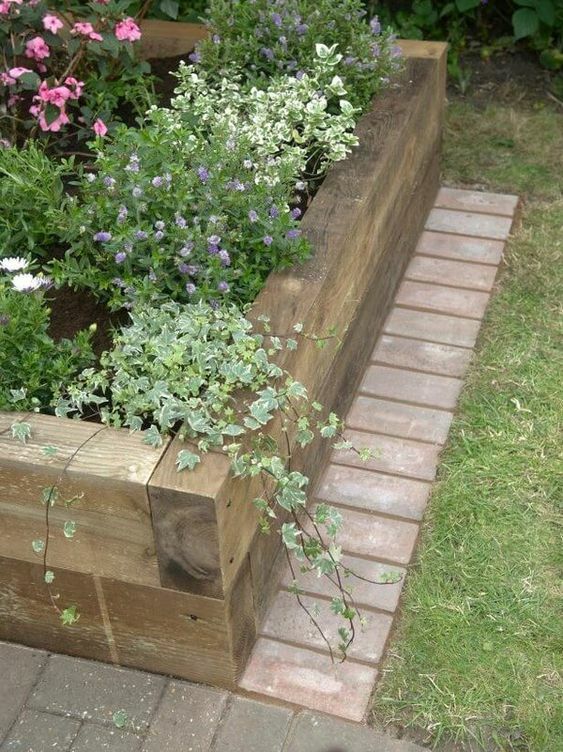 Then frame your garden bed with concrete planters! 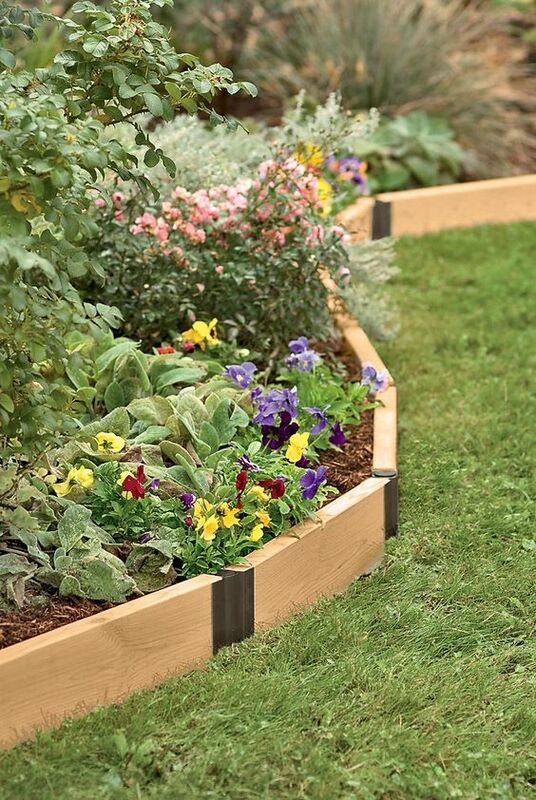 Wood is a very natural material to make bed edging and most of us will be able to DIY such a project. 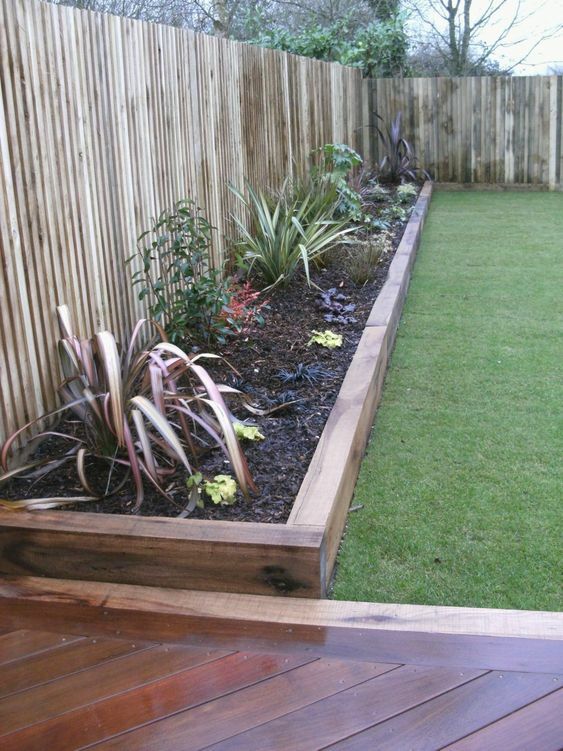 Go for thin regular wooden borders, for wooden planks of mismatching looks, for wooden slices or even logs if they fit your style. 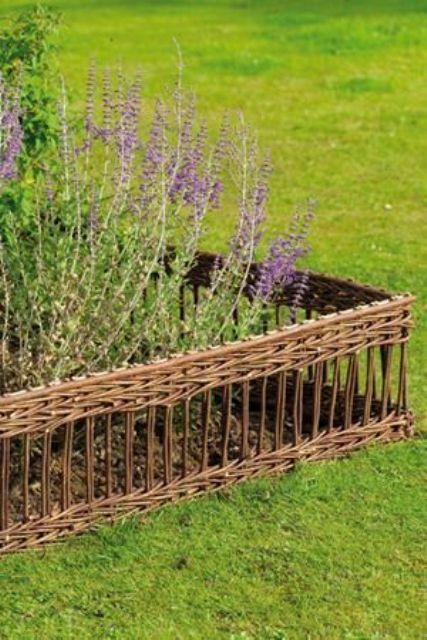 The only disadvantage I would name is low durability, especially in rainy areas. 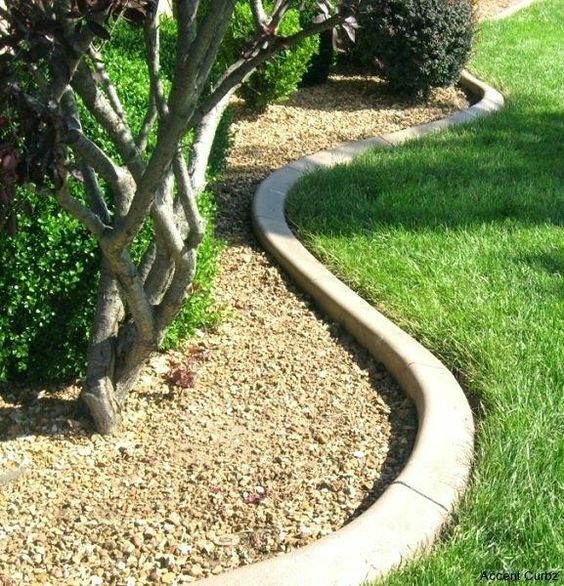 Generally inexpensive, steel edging isn’t just for building. 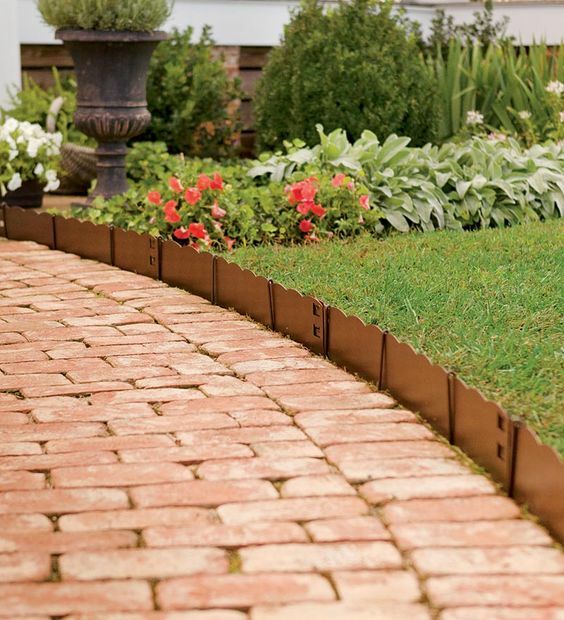 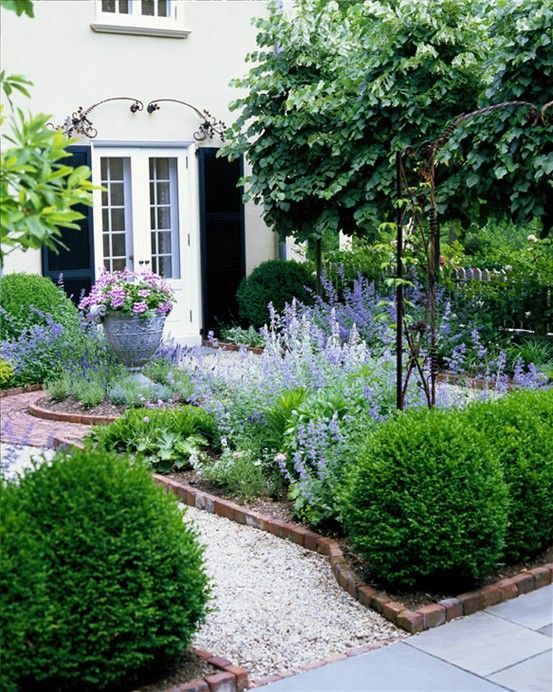 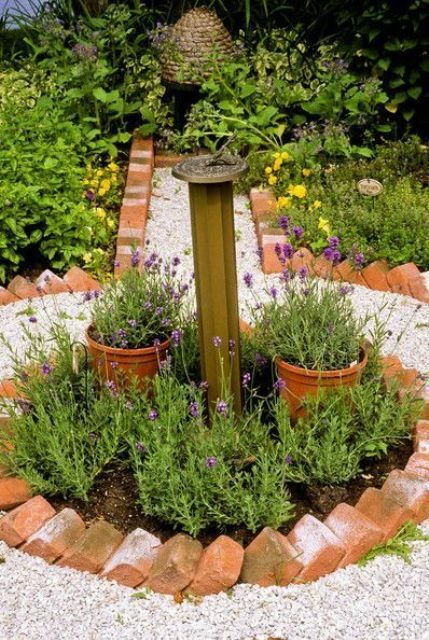 Bury an edge in the ground and use it to create a meandering garden border that will weather year after year and add rustic appeal to any type of yard. 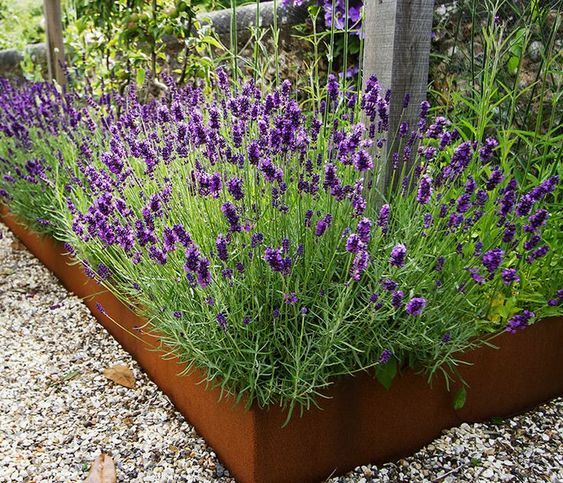 Metal panels are rust proof, fade proof, and are generally a great choice for both fencing and garden edging when combined with the correct framing materials. 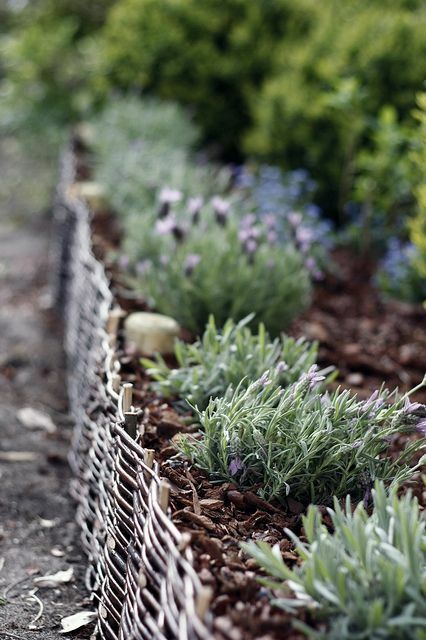 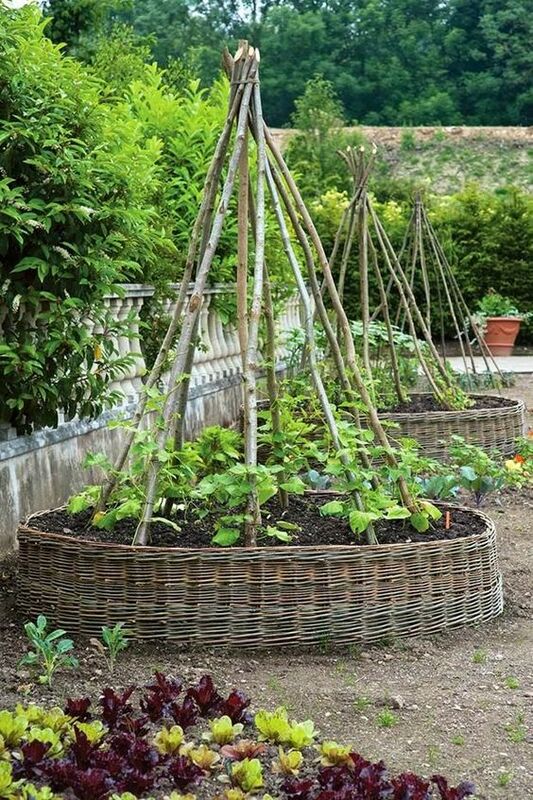 Young green saplings, willow branches, or other green, flexible woods are easy to weave into a strong and pliable mat for raised garden borders. 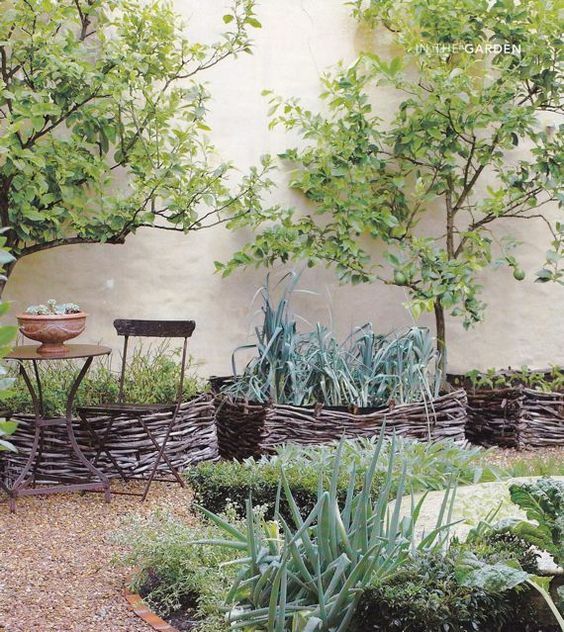 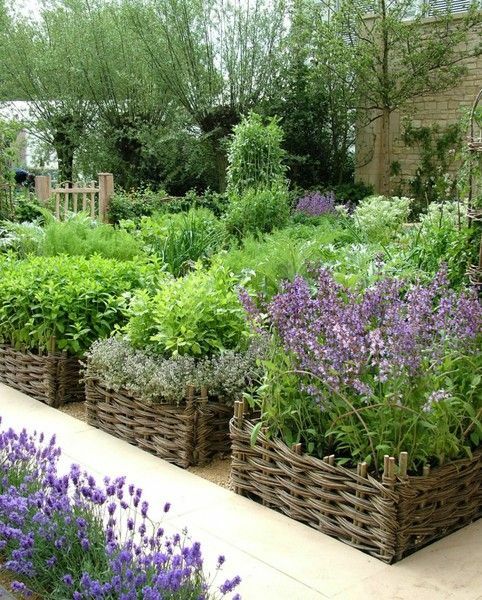 Baskets instantly bring a cozy rustic feel to the space, perfect for veggie gardens.